Facebook ads have a great advantage over other PPC platforms. Facebook is able to target an extremely precise audience. If your ad is a quality ad, you can get a pretty good conversion rate. However, we have noticed a problem that many of our new clients have that makes their Facebook conversion rate suffer. If you’re familiar with Google’s Ads (no longer Google AdWords), you know that a PPC ad has two main parts, the ad and the landing page. If either of them is bad, you won’t get the sales you could, right? Facebook ads work the same way. Those clicks on the ads have to go somewhere. If you have a dedicated landing page off Facebook for your ads, that’s great. You can also redirect them to a landing page on Facebook as a tab under your business page. However, we often find that our clients have bad Facebook business pages. That’s a problem even if you’re redirecting back to your website. Shoppers will want to engage with your Facebook page to get information and leave feedback even if they use your website to do the actual shopping. If you have a great website and a poor Facebook presence, that creates a disconnect. It makes you look unprofessional and shows that you think Facebook isn’t a priority. If you’re going to pay to use a channel, use all the free features you can to improve your chances! Here are some things to check with your page. New leads want information. Your Facebook page should give them that information. Fill out every relevant part of your profile that you can with an eye for clarity of your copy. This is more than making your icon and cover photos look good. Have your tabs make sense and put the right pieces of information in each tab. Don’t make your main page too cluttered by putting everything on it. Tabs are useful! 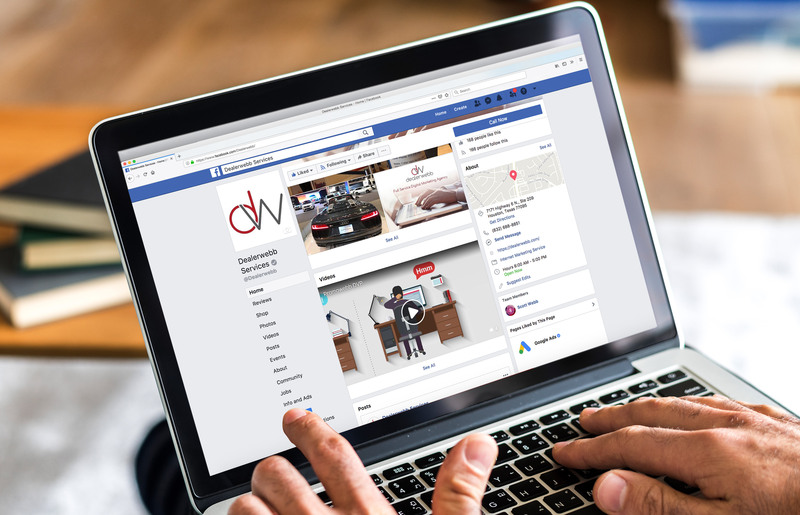 Even if you are not using Facebook as part of your content marketing strategy, your page needs some activity to let people know you’re still in business. A simple relevant post once a week will do. It can even be a share of an article relevant to your customers. Activity shows that someone is paying attention to the page. Activity will show customers they can leave messages and perhaps get a response. Fielding questions and comments on social media gets visitors to come back again and again. It creates relationships that can turn into long-term sales. When a dealership comes to us for advice on their marketing and they use Facebook Ads, one of the first things we look at is their business page. It is so crucial to the user experience that any tweaks to targeting or ad copy will fall flat if the basics aren’t in place. Spend some time looking over your Facebook page and look at these basics. Are you following everything? If not, take a week and brush it up!